At the 3rd OMB Pre-Hearing Conference (PHC) last November, Ross Earl made a ‘Motion to Dismiss’ the Lippa application, which was strongly supported by SLCO. At the time, a decision on the Motion was reserved by the Adjudicator. That decision has now been issued, on 5 March 2019. In summary, the Tribunal ordered the motion to dismiss the appeals be denied, which is unfavourable to SLCO’s case. Full details of the decision can be found by clicking here. On a positive note all Parties agree that a further Official Plan Amendment Application is required to address the issue of Lambert's Lake and Mud Lake being within 2 kilometres of the proposed rock crushing operation, which is prohibited under the Township of Muskoka Lakes Official Plan. This is good news because it recognizes the significance of the issue at hand, and we are well-positioned to fight this new application. We will continue to keep you informed as more information becomes available. In the interim, please feel free to contact me with any questions you may have. Several SLCO members have inquired about where to send their Continuation of Objection responses. The following instructions are provided by the lawyers representing the Lippa Applicants. Your letter must be delivered within 20 days of receiving notice, i.e. tomorrow, March 8, 2019. To meet the deadline at this time you should submit your Continuation of Objection letter by email or else hand deliver it. NOTE: You must include your valid postal address, including you street address, in your email or your response will not be considered acceptable. Remember - to remain a recognized Objector, you must send your Continuation of Objection Letter by tomorrow. This is a follow-up letter on the topic of Objector Letters. In my communication of February 13, I informed members that if they continue to have objections to the Lippa Quarry application and are not satisfied by the information in the package from John Ewart (lawyer for the Lippa family), they are required to provide a second letter to keep their Objector status, either by personal delivery, by registered mail or by e-mail. If you have submitted an objection letter in the past, we urge you to take a few minutes to re-submit and update your letter of objection. This second letter needs to be delivered to both the Applicant and the MRNF by Friday March 8, 2019, which makes e-mail the preferred method of communication. Note that an e-mailed objection that does not contain a valid postal address (i.e. a street address, not a PO Box) will not be considered acceptable. A number of people reported having difficulty retrieving these reports from the Skelton Brumwell site (Lippa’s engineering firm), including our experts. Two requests to Lippa’s lawyer to extend the deadline have gone unanswered. 1. It has not been demonstrated Skeleton Lake, an ultra-oligotrophic (or ultra-clean) body of water, will be protected. This is a bottom line for residents. 2. Lippa’s consultant disagrees with Ministry of the Environment Conservation and Parks (formerly the MOECC) conclusion that Skeleton Lake has a high phosphorus sensitivity. This is contrary to the findings of our very highly regarded water experts. 3. Proposed mitigation measures such as diffusing discharge of phosphorus and implementing new Stormwater Best Management Practices are not clearly defined, and no comments or approval is indicated from MOCF. 4. The technologies proposed to treat the phosphorus laden effluent water are designed to trap fine suspended particulate and reduce phosphorus suspended in water. There is no assurance this will have any significant effect on phosphorus entering the lake. 5. Dissolved phosphorus is a primary concern for Skeleton Lake because the rock Lippa proposes to blast and crush is high in phosphorus. 1. Noise impacts are a still a significant concern. In fact, along Butler Mill Road, they will be enormous (22dB) increase in noise over the status quo on the lake. That’s like sitting in your living room with a quiet dishwasher running (40-45 dB) vs. having someone turn on the television in your living room so loud you can’t carry on a conversation (60-65 dB). 2. Our expert predicts the noise will be so disruptive, our quiet community will be downgraded from an acceptable noise impact area from a quiet rural rating Class 3, to a Class 2 or 1 area, equal to an urban or suburban noise zone. This would be like moving from a very quiet Skeleton Lake (Class 1) to a street near a busy intersection e.g. Leslie and Finch Ave., Toronto. 3. The updated acoustical report lacks basic information which makes it difficult assess the impacts. 4. The mapping is not clear enough to identify all of the affected neighbours. 5. Missing factors along the haul route such as gradients (hills) in the road leading to the quarry means that the quarry is potentially 5dB louder than predicted. There is a very high potential that people are going to be woken from their sleep! 6. No analysis is presented whether or not the haul route selected is the route that most minimizes noise impacts for residents and the environment. 7. The hours of operation mean it is likely loud trucks will begin at 5:45 am, with trucks sitting outside the quarry gate idling. 1. Based on a review by a qualified traffic safety engineer retained by SLCO, we are of the opinion that the safety of the haul route has not been fully assessed. 2. Specifically, school bus operations and truck traffic interactions have not been fully assessed, we can’t be sure our kids are safe. 3. Intersection, curve and hill sightlines have been identified as deficient (possibly unsafe) along the proposed haul route corridor but have not been addressed in terms of improvements to the road needed. 4. The proponent’s safety consultant concluded that the 80 km/h posted speed is not appropriate for the roadway geometrics and operations, which raises the clear question of whether 80 km/h is too fast to be safe for heavily loaded aggregate haulers. 5. In addition, the Lippa’s safety consultant concludes that there have been only two collisions along the haul route over a five-year period. According to our expert, this frequency seems extremely low for even the best performing rural roadway over a 5-year period. 6. The increase in collision potential due to slower moving trucks has not been quantitatively assessed and therefore it is unknown if it poses a risk, which is a legitimate concern for people sharing the road with these new trucks. 1. The Township and SLCO remain opposed to the application, including the aspect of crushing within 2km of a waterbody. If the Township and subsequently the LPAT prohibits the crushing, the operation changes significantly and all of the related reports would need to change. 2. We question if a pit in this remote location is viable if the raw aggregate must be shipped somewhere else for processing before being shipped to market. This is a lot of travel on our roads that may pose an unnecessary traffic safety risk. 3. Until this matter is resolved, it seems premature for any agency or impacted resident or First Nation to provide final comments on the application. · Site is in close proximity to a provincial highway. 5. In our opinion, the site meets neither of these criteria and these policies. These policies are intended to prevent the traffic safety issues that have been identified above. You might find these points helpful as you draft your letter. In parallel, SLCO is preparing its own letter of objection, based on these points, which we will circulate to the SLCO membership as soon as it is available. As advised in my last communique, the 3rd OMB Pre-Hearing Conference (PHC) took place Monday in Port Carling. A big thank you to everyone that attended the PHC. Despite the adverse weather conditions we filled the hearing room, a clear demonstration of the community’s continuing opposition to the quarry. At the PHC, Ross Earl made a ‘Motion to Dismiss’ the Lippa application, which was strongly supported by SLCO with filed affidavits and legal arguments. A decision on the Motion was reserved by the Adjudicator and is unlikely to be rendered before mid to late December. I am pleased to also advise you that opponents of the quarry recorded a significant win at the PHC. Ross Earl has consistently maintained that the Official Plan prohibits rock crushing within 2 kms of a “Waterfront Designation”; that Lambert’s Lake and Mudd Lake are “Waterfront Designation”; that the proposed quarry and associated rock crushing operations are within 2 kms of these lakes; and that the Lippa application therefore violates the Official Plan. This position was supported at the PHC by the Township and by SLCO; and at the PHC, counsel for Lippa conceded to the Adjudicator that this position is correct. As a result, Lippa can in no circumstances proceed with their application unless they also apply for a second amendment to the Official Plan, to allow rock crushing within 2 kms of Lambert and Mudd Lakes. This amendment would be the subject of another time-consuming round of public consultations and would then have to be presented to Township Council. Our expectation is that this amendment would be rejected by Council, consistent with their rejection of the amendment proposed in the original application. We will continue to keep you informed as more information becomes available. In the interim, please feel free to contact me with any questions you may have. Again, thank you for the strong support at Monday’s PHC. Kathy Ross on the north shore of Skeleton Lake. Congratulations Kathy! Thanks to the generosity of everyone who purchased a raffle ticket, $1,943 was raised which will be put towards the fund to fight the proposed Lippa Pit and Quarry. It was great to see so many people buying tickets in an effort to help protect our lake. Again, what a great lake to be a part of! A particular note of thanks to the folks at Skeleton Lake Marina, who kindly donated the beautiful new 14-foot Sportspal canoe. SLCO sincerely appreciates their generosity in providing the canoe, plus their continued support in helping SLCO fight the proposed Lippa Pit and Quarry. 210! That’s the number of paid up members who are part of SLCO. Although that is an impressive figure, we would like to increase the size of our membership. Specifically, our target is 250 members this year, which our operating plans are based on. As the old saying goes, ‘there is strength in numbers!’ If you have not yet renewed your annual membership, or have a friend or neighbour who would like to join, please go to the Skeleton Lake website (www.skeletonlake.ca) or contact either Paul Smith at psfreedomatskeleton@gmail.com or Kelly Andrews at kelly@skeletonlake.ca to join. If there is enough interest by folks on the lake, then SLCO will plan to organize a ‘septic tank pump’ for water access properties this fall. We’ve already heard from a few interested cottagers. For those of you that might have missed the last pump out in 2016, now is the perfect time to get this necessary job done. Just email Jeff Crocker at jeff@skeletonlake.ca to indicate your interest in a pump out. You’d Look Great in a Red Canoe! What a great lake to be part of! In an effort to help fund the fight against the proposed Lippa Pit and Quarry, Skeleton Lake Marina has kindly donated a beautiful new canoe to be raffled. The canoe is a red, 14-foot Sportspal with oars and motor bracket, as shown below. This beautiful canoe is valued at $1,800. The raffle tickets are $10 per ticket, or 3 tickets for $25. Draw date is Saturday September 1 at 11:00 am. All proceeds received will go towards the fund to fight the proposed quarry. So why not drop into the marina to buy your tickets today. (Note: you need to please drop into the marina in person to purchase your tickets … they cannot be processed over the phone.) And a big thank you to Skeleton Lake Marina for their ongoing support. The 3rd Ontario Municipal Board (OMB) Pre-Hearing Conference (PHC) is scheduled to be held on Friday Nov 26, 2018 in the Township of Muskoka Lakes Council Chambers (1 Bailey Road, Port Carling), starting at 10:00 am. This 3rd PHC provides an excellent opportunity for us to continue to show the OMB our level of concern and our complete commitment to defeating this quarry. Let's continue to fill the Community Centre Hall with concerned SLCO members and others in the community, to show them that we care about our lake! What a great lake to be part of! 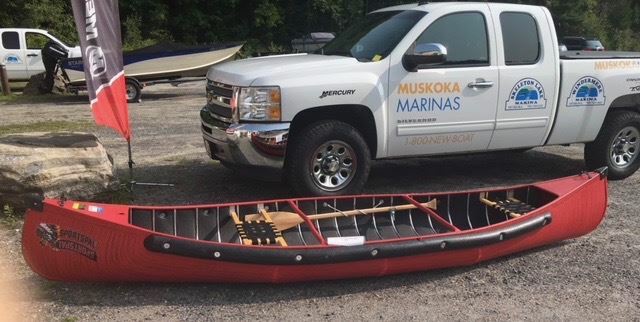 In an effort to help fund the fight against the proposed Lippa Pit and Quarry, Skeleton Lake Marina has kindly donated a beautiful new canoe to be raffled. The canoe is a red, 14-foot Sportspal with oars and motor bracket, as shown below. This beautiful canoe is valued at $1,800. The raffle tickets are $10 per ticket, or 3 tickets for $25. Draw date is Saturday September 1st at 11:00 am. 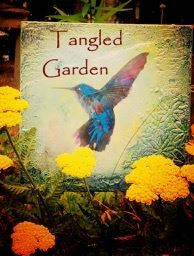 All proceeds received will go towards the fund to fight the proposed quarry. So please buy your tickets now. Either drop into the marina, or call them at 705-769-2151 to purchase your tickets today. And a big thank you to Skeleton Lake Marina for their ongoing support. Last weekend the Stroud grandchildren hosted a cookie and drink sale to raise funds and awareness to fight the proposed Lippa quarry. 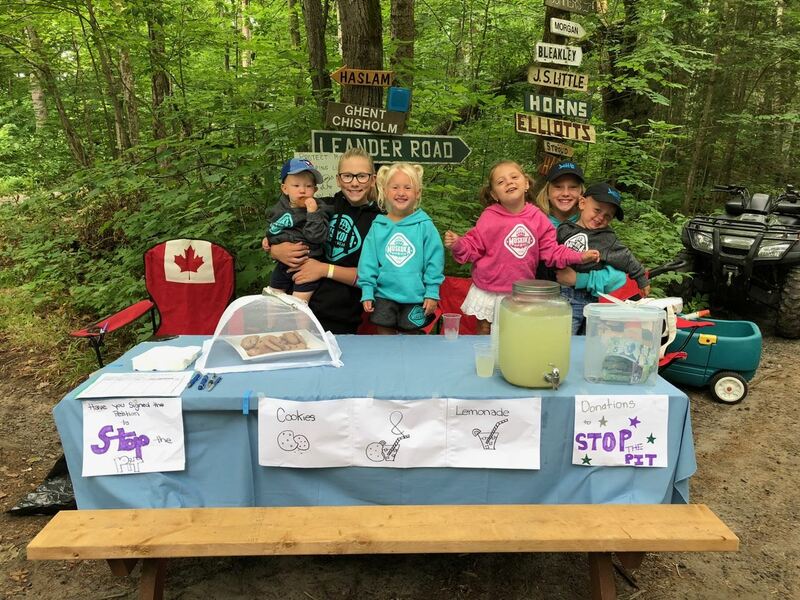 A group of six children from the north shore of Skeleton Lake raised over $650 for SLCO’s Stop the Lippa Quarry Fund, by selling homemade cookies and lemonade. The sale was set up at the corner of Long Point Road and Leander Road. They proudly presented this money to Scott May, SLCO President, at the AGM on Sunday August 12. Now that’s an impressive effort to help preserve our beautiful lake! From left to right: Max Bartlett, Aryana Bartlett, Octavia Bartlett, Kensington Churchill, Lyla Bartlett and Hudson Churchill. A reminder that the next PHC will be held in Port Carling on Monday, November 26 at 10:00 am, so please mark this date on your calendar.